Kel’s Bleu Cheese Bacon Bison Burgers – Yum! 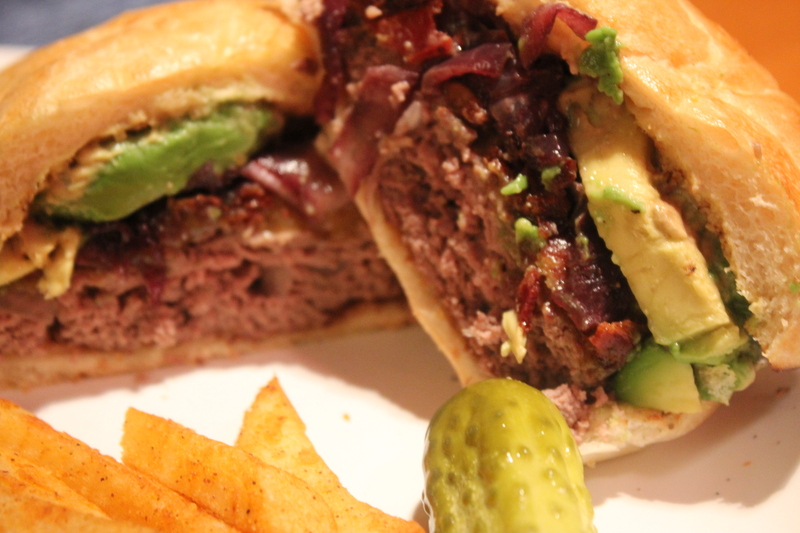 Here’s yet another burger recipe, this time made with grass-fed bison, which I love for its taste and low fat content. I kind of blow the low fat thing by adding bacon and two types of cheese, but the addition of these ingredients makes this a cheeseburger in paradise, wherever you are. Jimmy Buffet would approve! 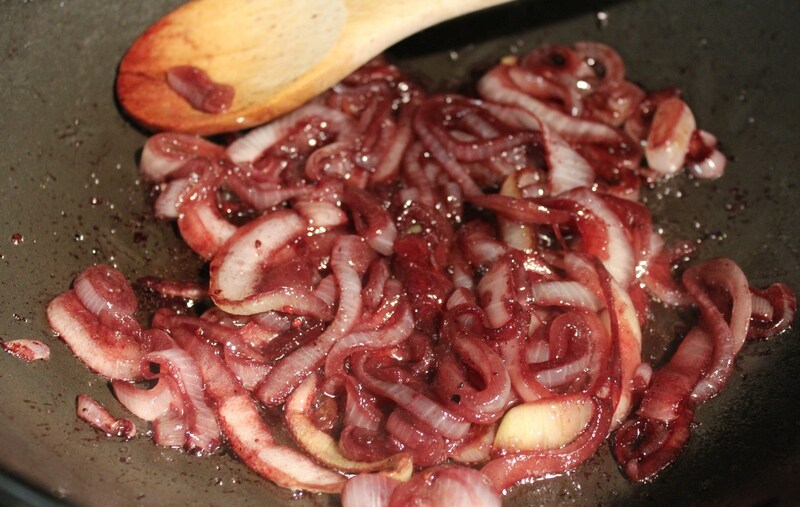 The sautéed onions-with-red-wine topping is from a Bon Appétit Magazine recipe and is so easy to make and tastes fantastic. Brad prefers the crunch of sliced raw onions, so you may want to go that route instead. Also, you can replace the more expensive smoked Gouda with sharp cheddar – both work great. This burger absolutely rocks and it’s a nice change from ground beef. Beware – it is quite filling since bison meat is dense. 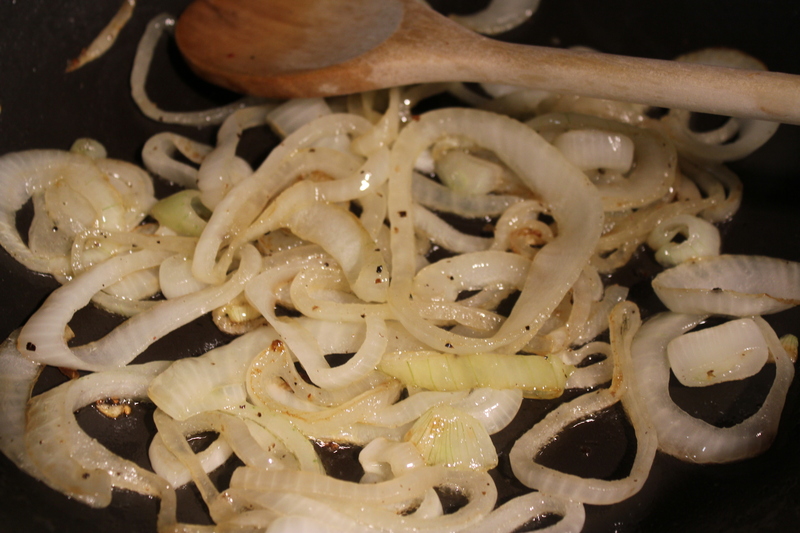 Heat olive oil in a skillet, add onions and sprinkle them with salt and pepper to taste. Simmer until the onions start turning brown. Add the wine and sauté until it is absorbed. Enjoy the wonderful smells coming from the pan! Transfer the onions to a bowl. Prepare the bacon – make sure it’s nice and crisp. Drain on paper towels. 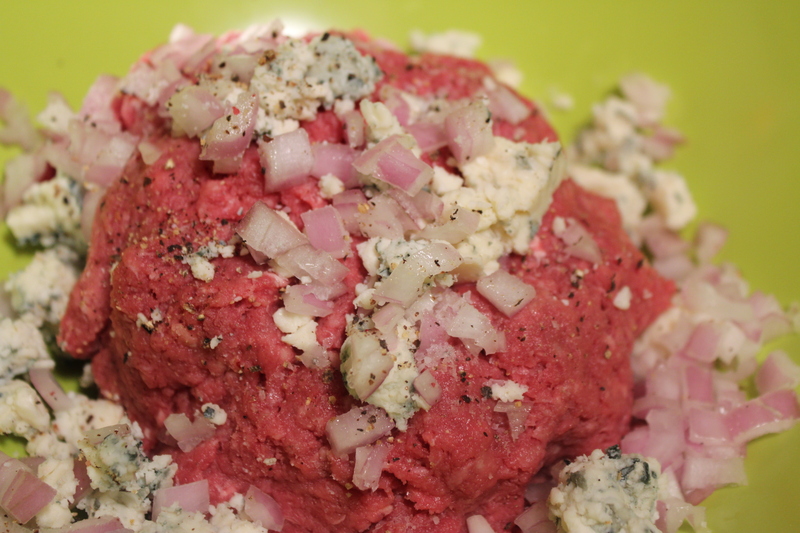 Add the crumbled bleu cheese and shallots to the bison and season with salt and pepper to taste. Form into patties – choose how big you want your burger to be. Grill the burgers for approximate 10-12 minutes or so for medium. Top them with the smoked Gouda cheese and heat until the cheese just starts to melt. If you like your buns toasted, go ahead and place them on the grill for a minute or so. Build your burger by slathering the mustard on the buns. 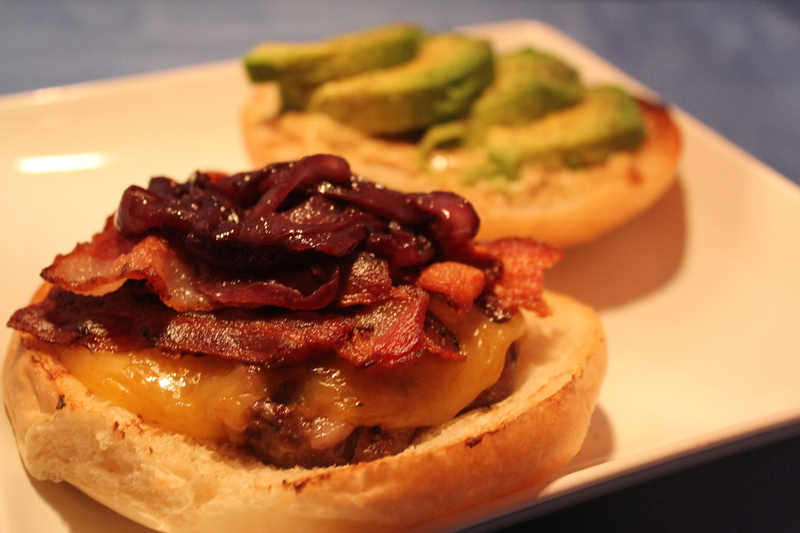 Add the burger and top it with bacon, wine-laced onions and avocado slices. You can also add tomato slices, lettuce and/or mayo as well – it’s your burger so make it how you like it. 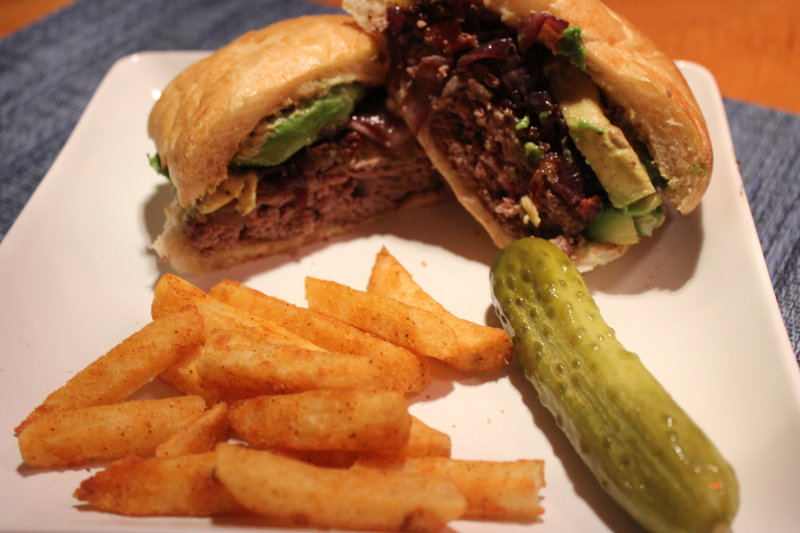 Serve your awesome bleu cheese bacon bison burger with fries, onion rings or chips and a pickle. This entry was posted in Meat and Poultry, Recipes and tagged bacon bison burgers, bison burger recipes, bison cheeseburgers, blue cheese bacon bison burger recipe, eat drink and be merry, kel's cafe of all things food, Kelley Chisholm recipes. Bookmark the permalink. 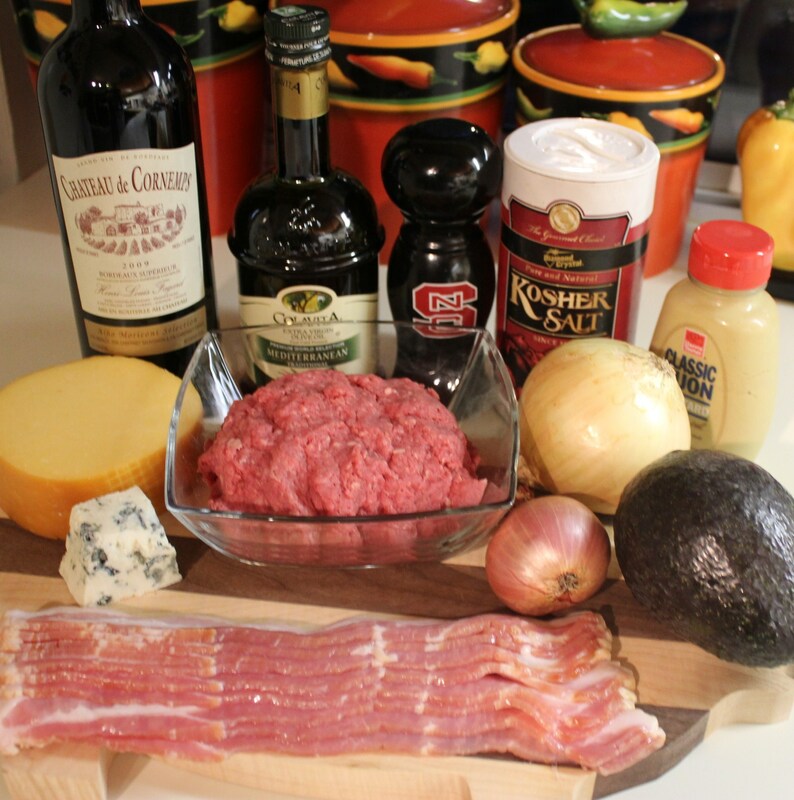 1 Response to Kel’s Bleu Cheese Bacon Bison Burgers – Yum!